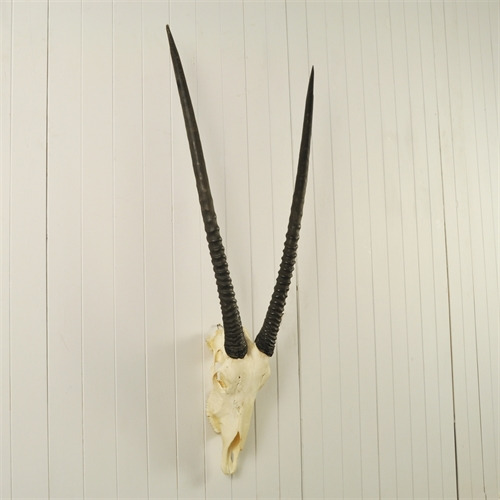 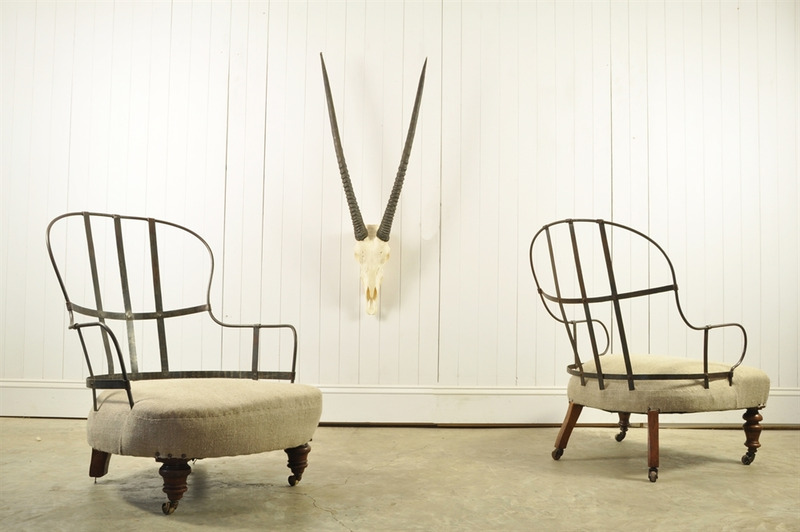 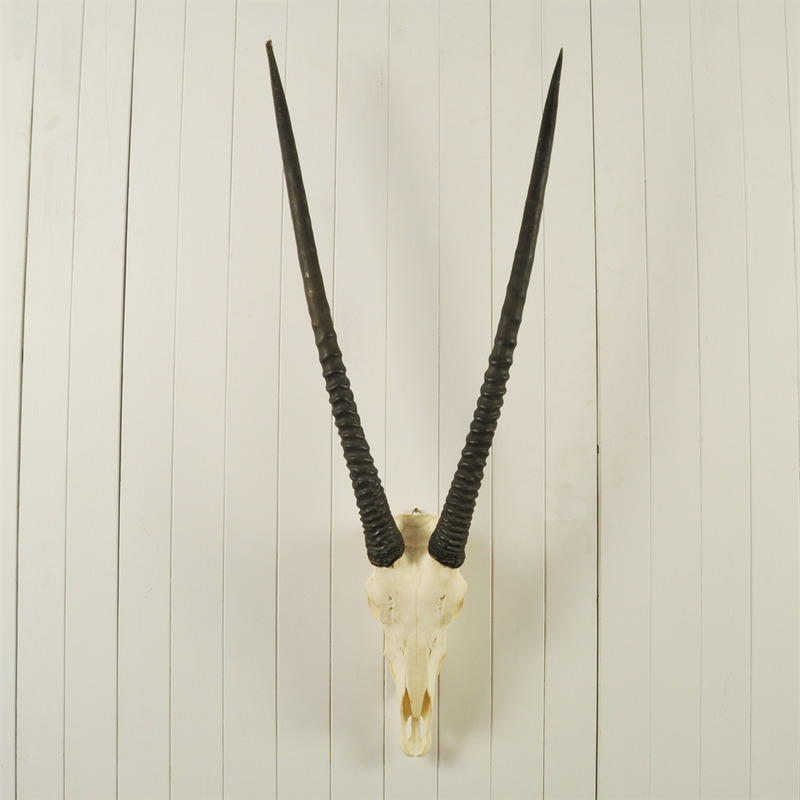 We sourced these impressive Oryx or Gemsbok skulls from Namibia. A rather majestic beast and we love how striking and simple the skulls and antlers look. 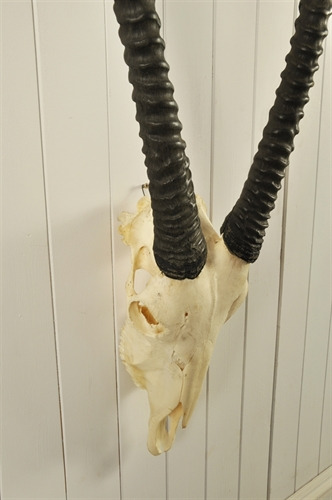 These are maybe 10 -20 years old. 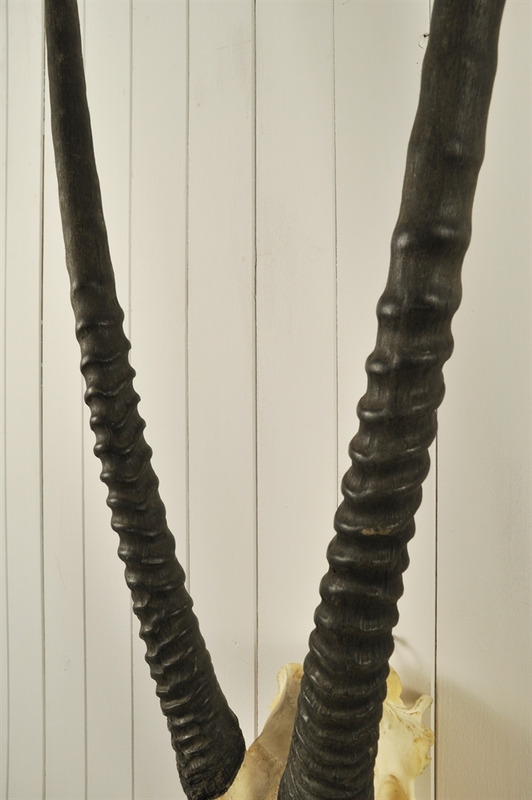 They have not been painted and the horns are their natural colour. A few bumps and scrapes.